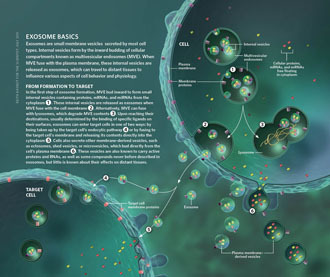 Exosomes are membrane-bound vesicles found in all biological fluids. AML patients’ plasma collected at diagnosis contains elevated exosome levels relative to normal donor (ND) plasma. 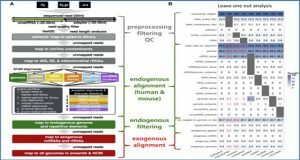 The molecular profile of AML exosomes changes in the course of therapy and may serve as a measure of disease progression or response to therapy. 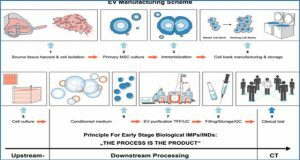 However, plasma contains a mix of exosomes derived from various cell types. 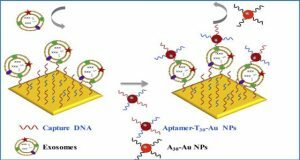 To be able to utilize blast-derived exosomes as biomarkers for AML, researchers from the University of Pittsburgh Cancer Institute have developed an immunoaffinity-based capture method utilizing magnetic microbeads coated with anti-CD34 antibody (Ab). This Ab is specific for CD34, a unique marker of AML blasts. 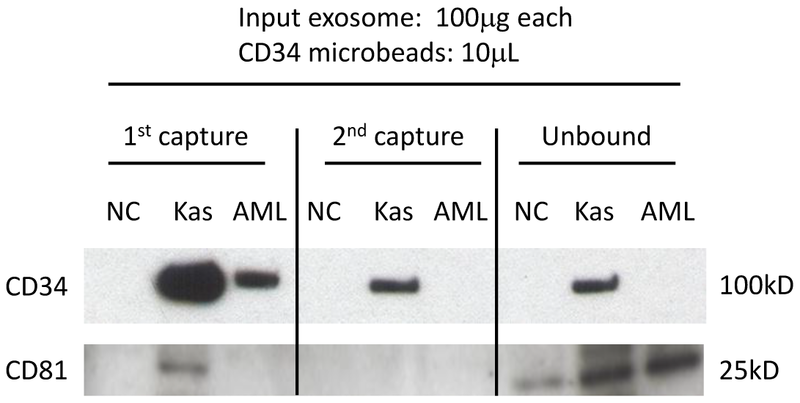 The capture procedure was developed using CD34+ exosomes derived from Kasumi-1 AML cell culture supernatants. 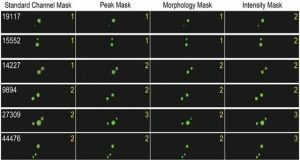 The capture capacity of CD34microbeads was shown to linearly correlate with the input exosomes. 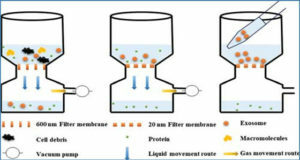 A 10 uL aliquot of CD34 microbeads was able to capture all of CD34+ exosomes present in 100–1,000 uL of AML plasma. 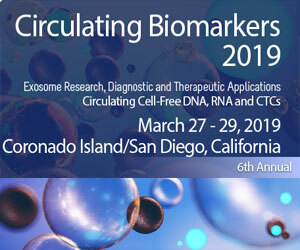 The levels of immunocaptured CD34+ exosomes correlated with the percentages of CD34+ blasts in the AML patients’ peripheral blood. 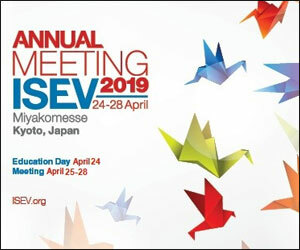 The immunocaptured exosomes had a typical cup-shaped morphology by transmission electron microscopy, and their molecular cargo was similar to that of parental blasts. 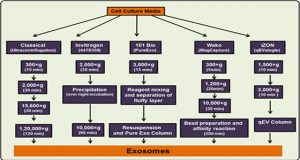 These exosomes were biologically-active. Upon co-incubation with natural killer (NK) cells, captured blast-derived exosomes down-regulated surface NKG2D expression, while non-captured exosomes reduced expression levels of NKp46. 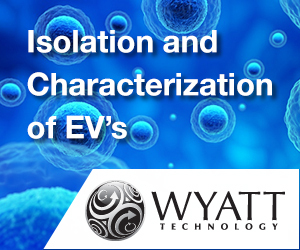 These data provide a proof-of-principle that blast-derived exosomes can be quantitatively recovered from AML patients’ plasma, their molecular profile recapitulates that of autologous blasts and they retain the ability to mediate immune suppression. 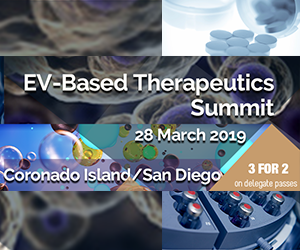 These data suggest that immunocaptured blast-derived exosomes might be useful in diagnosis and/or prognosis of AML in the future.